I hope that you all had a lovely Christmas and New Year. 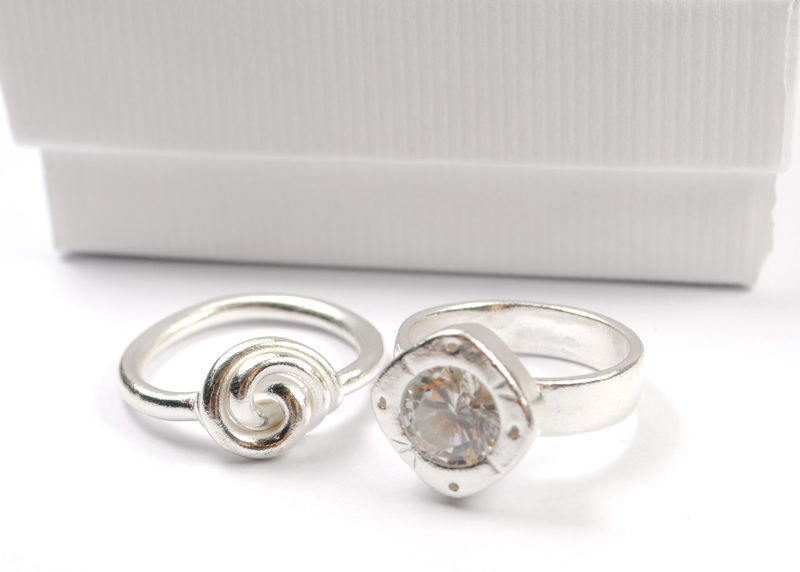 It’s a busy time of year for most jewellery makers and I know a lot of you will probably be hibernating in January. I know for me it’s a time to take stock, consider what I am doing for the rest of the year and plan. I really hope that 2015 brings whatever you hope for. I’ve a few things on my to-do list this year, I’d like to learn how to crochet and I’d like to learn how to wire wrap. With 2 young kids and a business, I’m not entirely sure how that’s going to happen, but I am determined! Perhaps it’s one of your plans to learn about silver clay or work on the skills you have already learned? I am very pleased to let you know that we have now got our brand new timetable on line and it’s ready to book. Now because the classes are small, they do fill up quickly so if you’re interested, but might not have the money until the first payday of 2015 (who does?) – you can email me at info@bluebelldesignstudio.co.uk and we can reserve you a space for a small deposit, with the final payment due at a mutually convenient time. 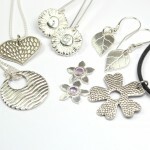 Silver Clay beginner – perfect if you’ve not worked with silver clay (or it’s been a while and you need a refresher). An introduction to this incredibly flexible and accessible medium which will give you the confidence and skill to make pieces at home. 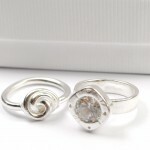 Typical projects for a ring making class! Adding colour – try this class for kiln free methods to add some colour to your jewellery. We cover 3 methods (including an introduction to using polymer clay). Fantastic class to build on your skills learned in the Beginner’s class. 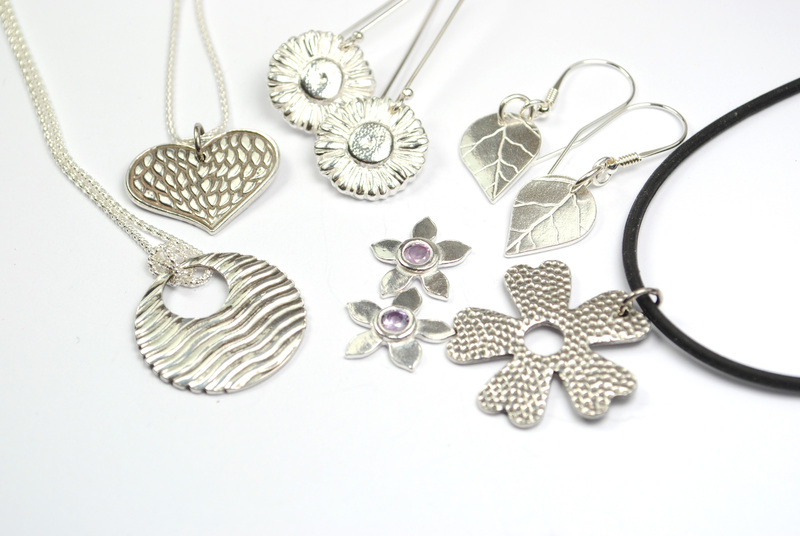 Making textures – As you develop your silver clay skills and learn what your own style is all about, making textures is key to expressing individuality. This class shows you how to do that. Plus – if you are interested in making Imprint Jewellery as a hobby or adding it to your range, this class covers that too! Chainmaille and PMC – This class has returned due to popular demand. Chainmaille is a fantastic way of making individual chains to enhance your silver clay creations. In this class, you will be shown how to make the deceptively simple Barrel Weave and adorn it with your very own silver clay toggle clasp and charm(s). Have a look at our Workshop page for the full range of classes and our schedule up until June. If you have any questions about any of the workshops or you would like to book an individual training session, designed just for you, then please get in touch at info@bluebelldesignstudio.co.uk. We look forward to welcoming you to one of our workshops really soon!